Seismic records indicate that there were also other small explosions on February 19th and 20th, according to an OVSICORI report. None of the eruptions did any damage, and there have been no reports of any ash except at the crated itself. The explosions are reminiscent of what happened in September 2011, which included explosions due to superheated water but not magma. These eruptions could indicate possible future magma intruding into the volcano, but these could be months or years away. 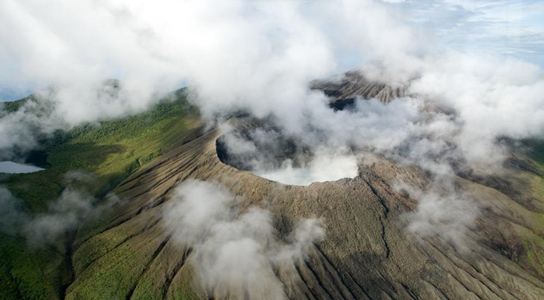 The National Emergency Commission of Costa Rica has declared the crater area off-limits to visitors. 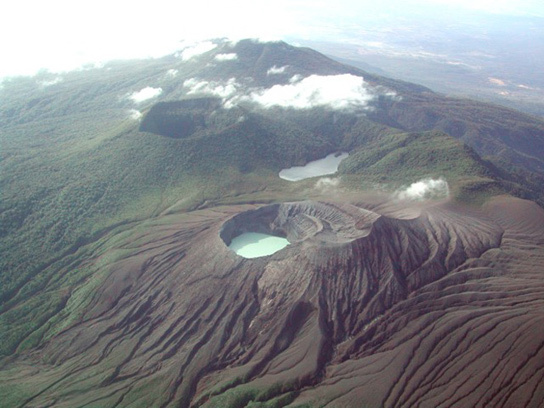 Rincón de la Vieja’s last major eruption was back in 1966, when it produced a VEI 3 event that generated pyroclastic flows. Back in 1820 BC, the volcano produced a larger VEI 4 eruption. The volcano has a small crater lake, which could lead to more explosions when magma interacts with the water. The region is rife with geothermal activity, which is why the Costa Rican government is looking to build a geothermal energy plant in the National Park. Be the first to comment on "Rincon de la Vieja Erupts Again in Costa Rica"